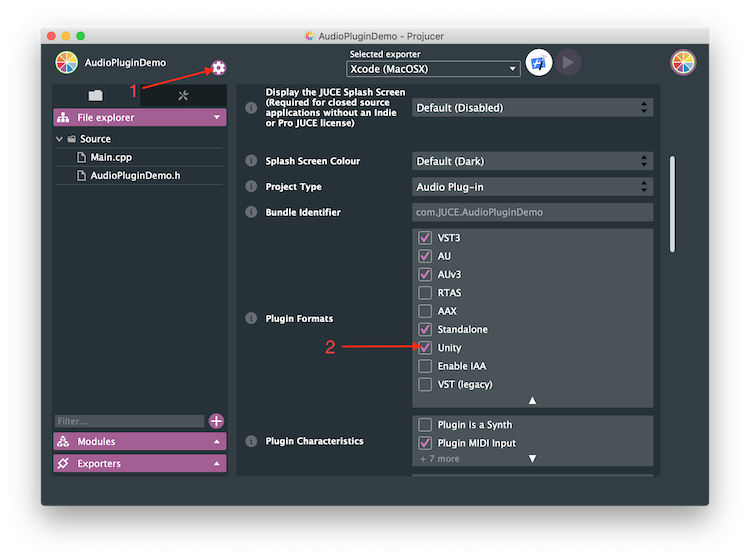 Build native audio plug-ins for the desktop Unity editor. Then open the project in your IDE of choice and build it (if you don't know how to do this then check out the Projucer tutorial). The build product will be a .bundle on macOS, a .dll on Windows or a .so on Linux. A C# script for the plug-in GUI will also be generated alongside this file on Windows and Linux (on macOS the file is embedded in the .bundle). Once you have copied the plug-in and C# script (on Windows and Linux) into your Unity project folder it will be usable within the Unity editor. 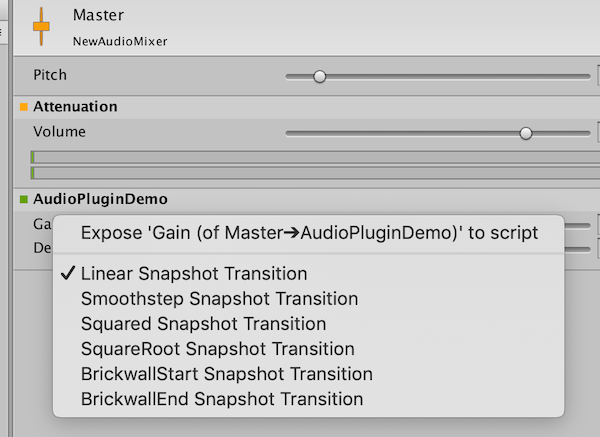 The plug-in can then be added to an Audio Mixer in the Unity editor and used in your signal flow. And that's it! Please post any feedback for this feature to the JUCE forum.